Pennsylvania Flags to fly at half-staff Monday, November 25th at the Capitol Complex and at commonwealth facilities in Wyoming County in honor of Russell Gow III. First Assistant Fire Chief Russell Gow III served with the Factoryville Fire Company for more than 40 years. He lost his life in the line of duty while fighting a house fire last Thursday. 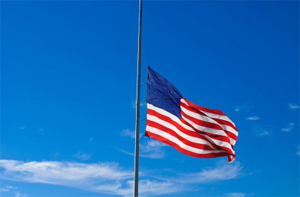 American Flags to fly at half-staff throughout the United States on Friday, November 22nd in honor of a Day of Remembrance for President John F. Kennedy. This year, 2013, marks the 50th Anniversary of the Assassination of President Kennedy. 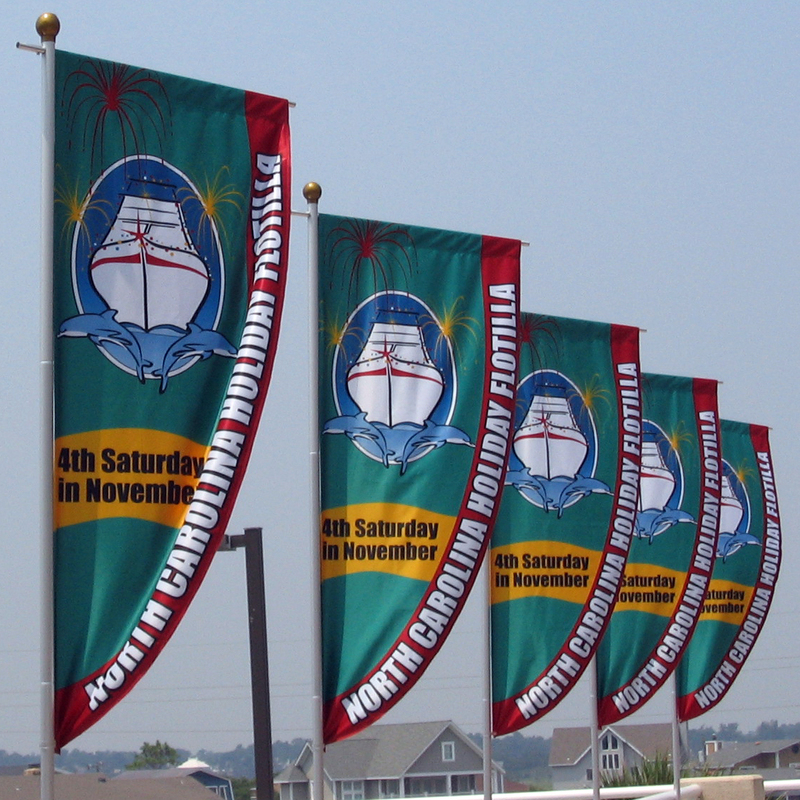 The street banners are up, so it must be NC Holiday Flotilla time!! 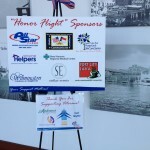 All Star Flags is a proud sponsor of the NC Holiday Flotilla each November. 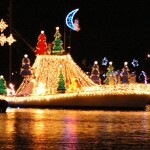 This year will see the NC Holiday Flotilla celebrate its 30th Anniversary and it is certain to be a great time for all who attend. The annual event attracts around 50,000 people to Wrightsville Beach and Wilmington for the two day festival. 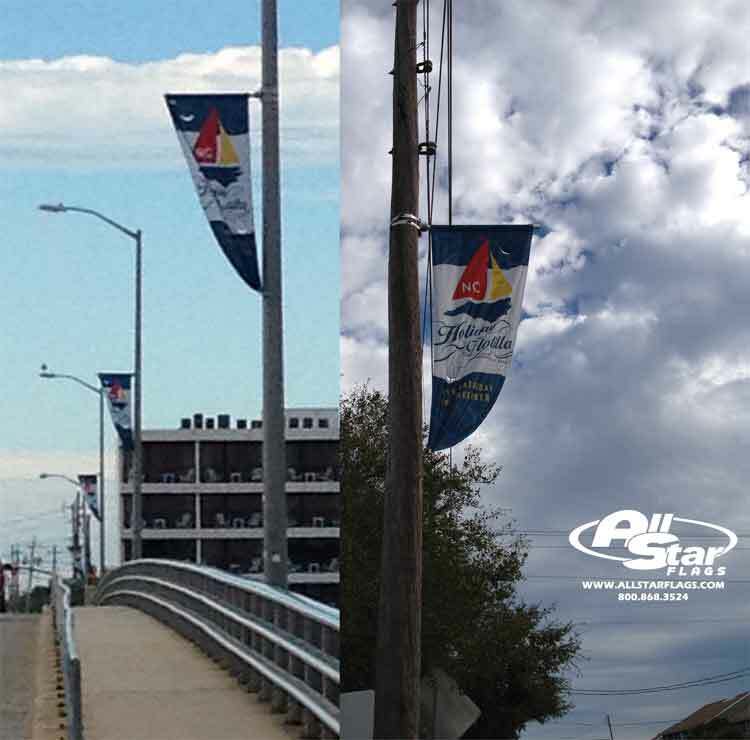 All Star Flags has partnered with the NC Holiday Flotilla for more than eight years. We have assisted them in creating numerous branding products to help set the tone for the event weekend. The centerpiece of the decorations are the street banners; which are installed by our expert staff each November. Seeing the banners flying has become synonymous with the beginning of the holidays for citizens and tourist alike. We have also produced wall graphics, custom feather flags, vinyl banners, boat flags and custom table covers that are used leading up to and throughout the two day festival to help distinguish a consistent brand across a wide variety of mediums. 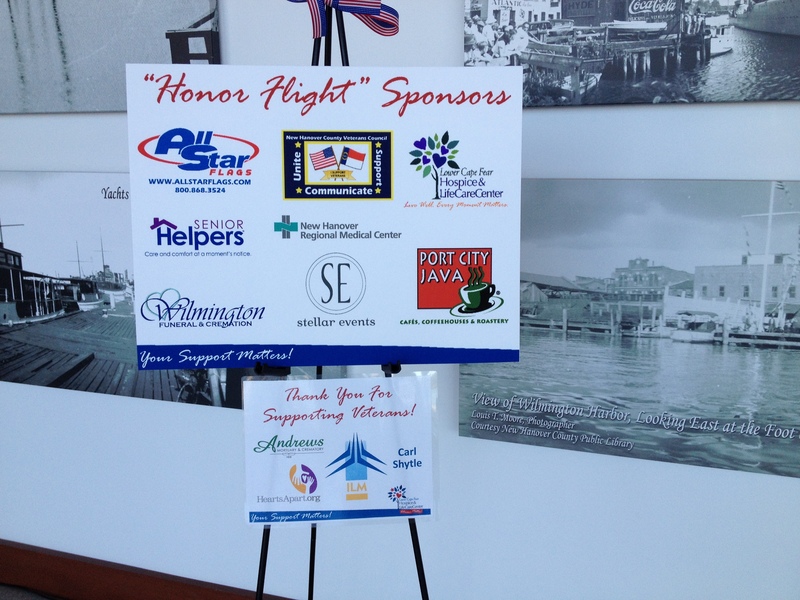 All Star Flags was proud to partner with the Lower Cape Fear Hospice Organization and the New Hanover County Veterans Council to bring “Honor Flight: One Last Mission” showing to Wilmington last week for Veterans Day. 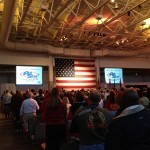 There was a huge turnout for the screening of the movie and the event was quite a moving way to celebrate Veterans Day. All Star Flags has been donating flags to the Honor Flight program each of the previous three years for their flights out of Wilmington. 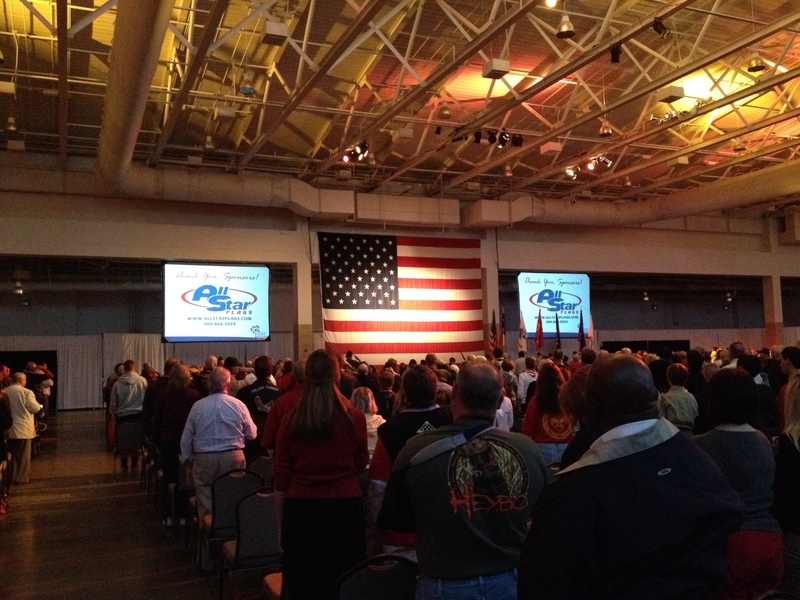 We were honored to help with flags and lapel pins for each of the Veterans who attended the showing at the Wilmington Convention Center on November 11th. The day was quite a success and it was a pleasure and honor to have attended the event. There were musical performances as well as drill team performances by the Ashley High School JROTC. 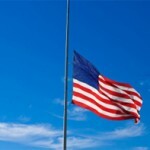 American Flags and Illinois Flags to fly at half-staff Friday, November 22nd in the State of Illinois in remembrance of the 50th Anniversary of the Assassination of President John F. Kennedy. Half-Staff Alaska Flags – Honoring Elton Engstrom Jr.
Alaska State Flags to fly at half-staff Thursday, November 14th in honor of former state legislator Elton Engstrom Jr. Engstrom served in the Alaska House of Representatives from 1965 – 1967 and the Alaska Senate from 1967 – 1971. American Flags and Kansas Flags to fly at half-staff Thursday, November 14th in the State of Kansas in honor of US Army Sergeant First Class Forrest Robertson. SFC Robertson died as a result of injuries suffered when his patrol was attacked with small arms fire and rocket-propelled grenades while serving in Afghanistan as part of Operation Enduring Freedom. Roberston was assigned to Headquarters and Headquarters Troop, 6th Squadron, 8th Cavalry Regiment, 3rd Infantry Division, Fort Stewart, Georgia. Half-Staff Maryland Flags – Honoring David Barr Jr.
Maryland State Flags to fly at half-staff Tuesday, November 11th through Saturday, November 16th in honor of David Barr Jr. Barr was a 13 year veteran of the Perryville Community Fire Department. He died as a result of injuries suffered in the line of duty when he was directing traffic at the scene of a crash and was struck by a vehicle. American Flags and Oregon Flags to fly at half-staff Thursday, November 14th in the State of Oregon in honor of Officer Robert Libke. Libke was a police officer for the Oregon City Police Department who was killed in the line of duty when he was fatally shot while responding to a call. American Flags and Nebraska Flags to fly at half-staff Friday, November 8th in the State of Nebraska in honor of former Congressman John McCollister. McCollister served in the US Navy during World War II and served three terms in the US House of Representatives representing his district in Nebraska.